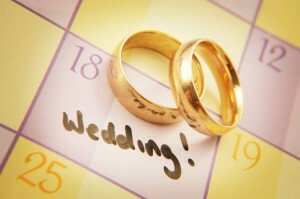 Numerology can you help you find that lucky date for the perfect wedding. You may ask how is that possible. In fact choosing the marriage date for a couple based on your lucky numerology numbers is a sure-shot method for a happy married life. Thus, when a numerologist calculates the degree of compatibility between the intendeds for the purpose of marriage, he checks both for before as well as after marriage, i.e. taking into consideration the changed surname of the girl. 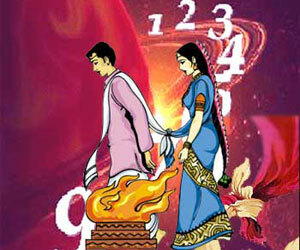 Checking numerology compatibility to this extent is only possible in the study of numbers. No other forms of astral science can go to this extent. Read on to know how the love numbers from 1 – 4 in a numerology reading can influence your married life in 2017 in this article. Sun is the planetary ruler of this particular wedding day. Affectionate, understanding and flexibility are the keywords of Number One wedding day. This day places importance on what your dispositions are together as a couple, as well as individual persons, both before as well as after marriage. The numerology number 1 reflects that your level of maturity increases with marriage, which enables you to work out the different disappointments, disagreements and upsets in your relationship in a respectable manner. As couples, both of you seek to attain total oneness with each other. Both of you have a strong desire to make your marriage successful, even if you experience failures. Both of you understand each other quite well and this knowledge becomes the ladder to success. Moon is the planetary ruler of this particular wedding day and so it will be quite an emotional wedding. It is natural for people to shed tears on your wedding day, as the ceremony will have a sentimental touch. Number 2 denotes, both of you want either a total private or an extremely social public wedding. This is a very strong number for eloping, and having a secret marriage. Your parents will either fully support you in your marriage plans or will be totally against you; there will be no in-betweens. Emotional maturity is the key to success for this marriage. Wedding on Number two day denotes, you will have a fully furnished home already set up. Moon signifies womanhood and as such you will crave for a loving family, which may be the prime reason for this marriage. If early pregnancy is the reason for marriage, you however need to reconsider your decision to marry. Jupiter is the planetary ruler of this particular wedding day. Marrying on Number 3 day will make you proud of your financial security throughout your life. So, if you want to marry only for money, Number three day is the best choice to go ahead with your plans. Post marriage, both of you will be very much concerned about what your family and friends have to tell about your partnership, and complementing you that the wedding was the biggest and the best, they have ever attended. Being ruled by Jupiter, you may turn out to be parents of many children. There are also possibilities of having two or more babies. To make your marriage a success, be frugal and always think of earning more money and success in life. Saturn is the planetary ruler of this particular wedding day. Of all the other numbers, Number Four is a very lucky number in wedding day numerology. This is the number which makes the couple aware of the different responsibilities of marriage. You people are very careful in weighing the pros and the cons of marriage. The significance of this particular wedding number date is 'faithfulness until death'. Married on this date, you both can work together to accomplish your goals, which might otherwise seem impossible to achieve. It is your luck which has brought the both of you together. You have an excellent chemistry working between the two of you and as such, the emotional needs and desires of one partner are always fulfilled by the other. Security is something which you both crave for and this may be one of the prime reasons of marriage. Being ruled by Saturn, even after marriage both of you will prefer living near your parents. This is the first part of the article on marriage compatibility based on wedding date numerology calculations. 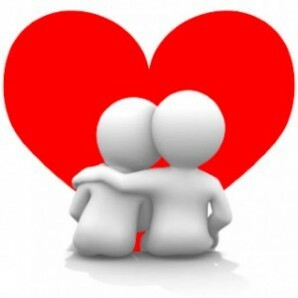 Try the free online numerology calculators to know your lucky marriage date.